EstateGuru, the European leading cross-border marketplace for short-term property loans has secured its first institutional credit line to be invested into loans originated in the Baltic market. Since the establishment in 2014 EstateGuru’s investor base of over 11 000 investors have funded in excess of €50 million of secured property loans in Estonia, Latvia, Lithuania, Finland and Spain with zero losses to investors to date. With the recent developments, including entering 2 new markets in 2018 Q1, establishing an institutional credit line and an ongoing equity round, the firm is setting goals for the next European markets, to establish its Pan-European reach in coming years. Founded in 1995 as an asset management boutique seeking to offer individual and high-performing financial products for private and institutional clients. In 2013, Varengold was granted a commercial banking license when it transformed into to fully fledged commercial bank. Varengold Bank AG is registered with the German Federal Financial Supervisory Authority (BaFin) under number 109 520 and has been listed at Deutsche Börse in Frankfurt since the 20th of March 2007 (ISIN DE0005479307, WKN 547930). 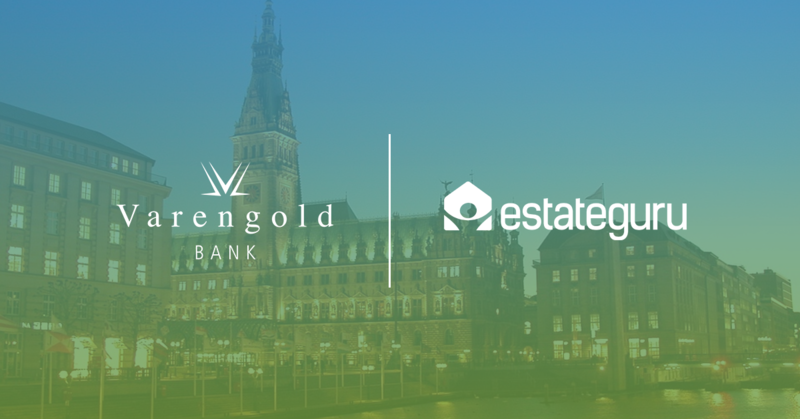 Varengold Bank AG is also connected to the Compensatory Fund of German Banks (EdB).